Reply: Applicant’s Name, Tk........ will be charged as application fee. Your PIN is (8 digit number). Reply: Congratulations! Applicant’s Name, payment completed successfully for Bangladesh Ordnance Factories(BOF) User ID is (xxxxxxxx) and Password (xxxxxxxx). 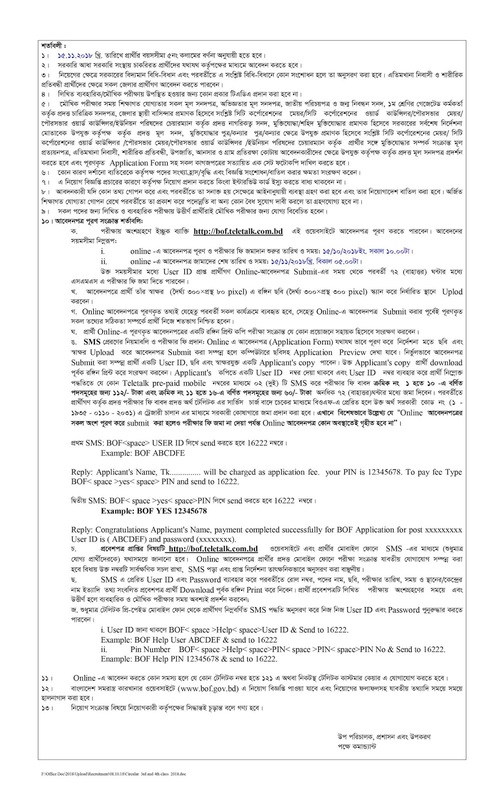 Bangladesh Ordnance Factories(BOF) authority Mobile SMS declaration will be published Admit Card. Every applicant can download login with User Id and Password at http://bof.teletalk.com.bd. 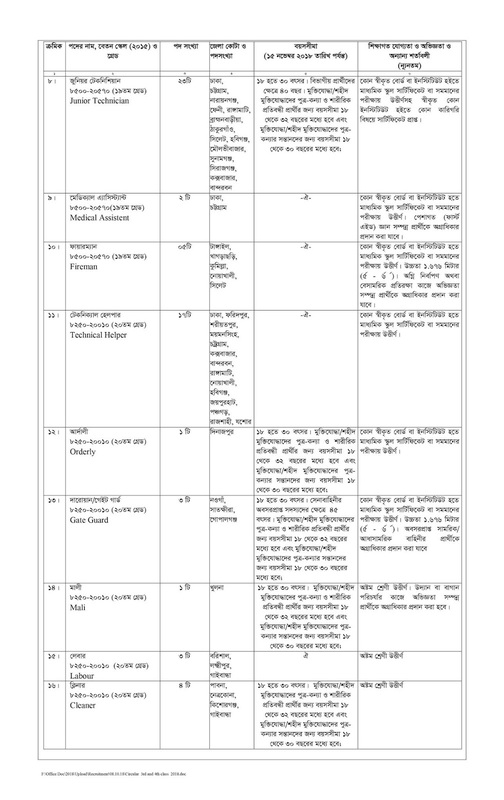 Bangladesh Ordnance Factories(BOF) authority Mobile SMS declaration will be published Seat Plan and Exam Center at your Admit Card. You can download Admit Card login with User Id and Password at http://bof.teletalk.com.bd. 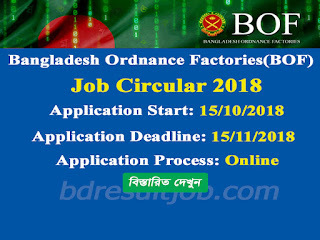 Bangladesh Ordnance Factories(BOF) authority will be published at their Official website notice board http://www.bof.gov.bd/. 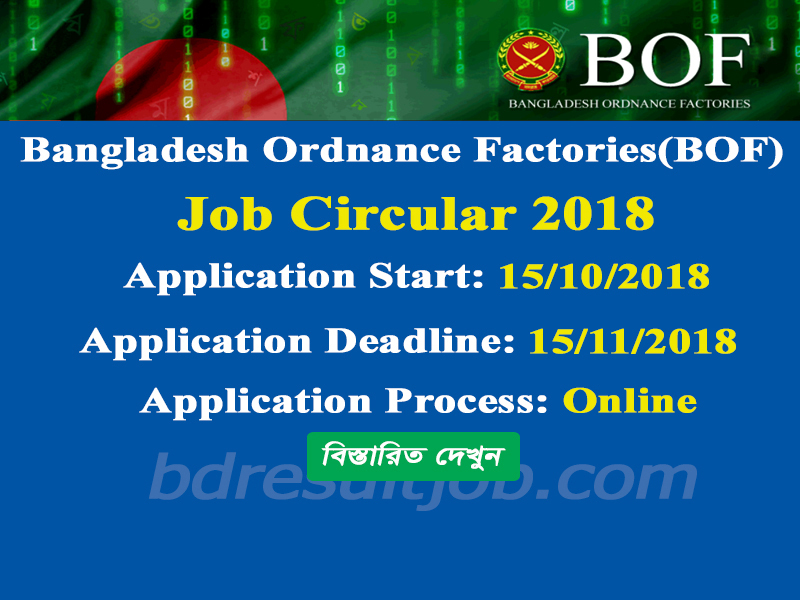 Tags: BOF, Bangladesh Somorastro Karkana Job Circular 2018, Bangladesh Ordnance Factories (BOF) Recruitment Circular 2018, বাংলাদেশ সমরাস্ত্র কারখানার নিয়োগ ২০১৮ এর বিজ্ঞপ্তি , www.bof.teletalk.com.bd, www bof teletalk com bd, www.bof.gov.bd, www bof gov bd, Bangladesh Ordnance Factories(BOF) Recruitment Circular 2018, Bangladesh Ordnance Factories(BOF) Recruitment Admit Card Download, Bangladesh Ordnance Factories (BOF) teletalk online application form 2018, BOF Exam Result 2018, Bangladesh Ordnance Factories (BOF) job Circular.